North Side – Quality. Service. Experience. With our Frank Tracy and Drives & Bearings of N.Y. divisions, North Side serves the New York operations of many of the largest companies in the United States. We view our relationship with our customers as one of partnership: we will succeed as a team. Our focus is on infrastructure-related applications, including power generation, airports, mass transit, recycling, and asphalt and aggregates. Our Energy Efficient Solutions initiative with New York City’s standard setting office buildings, medical centers, and educational and cultural institutions offers proven savings in mechanical system energy consumption. While our presence is local, our reach is increasingly global in three core markets: high speed gear couplings for power generation plants; bearings and couplings for marine deck and engine room applications; and power turn belts and specialty bearings for airport baggage handling systems. We represent world-class manufacturers of bearings and power transmission products, including Baldor, Bando USA, Browning, Carlisle, Diamond Chain, Fafnir, Flexible Steel, Kop-Flex, Leeson, Lovejoy, Martin Sprocket, McGill, Morse, MRC, NTN, Optibelt, RBC, Sealmaster, SEW Eurodrive, SKF, TB Wood’s, Timken, Torrington and U.S. Seal. The North Side staff is among the most experienced in the industry. Our objective is to exceed our customers’ expectations each time, every time. 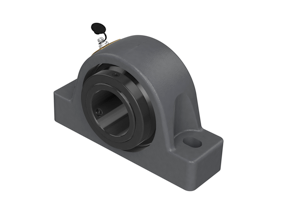 Timken® state-of-the-art shaft guarding technology™ housed bearing units … for baggage handling applications where shaft replacement is difficult and uptime is critical. Review Timken’s Specifications and download their Video.